We are a diverse and skilled interior design company in Johore Bahru. We focus on commercial interiors, such as Office Refurbishment and Commercial Interior Design business . .
We expertise in Office Refurbishment, Commercial Interior Design, architecture, building interiors and interior refurbishment provides the full range of resources that clients require. We can produce a stand alone Interior design scheme or provide full facility management for a complete project. This coupled with our stylish and extensive product range and services support provides the complete interiors package. 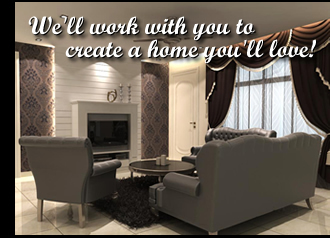 Besides that , we are also pleased to attend residential interior design clients.Our designers will work with you to focus on your ideas and interpret your requirement, in order to conjure up the design of your dream which will be reflecting your lifestyle and temperament, ultimately creating enjoyment and value for clients. We take time to understand your vision and explore the aspirations of the people who will be using the space. Our fresh and creative approach ensures that the final designed environment not only looks stunning, but responds ultimately to those that will experience it.